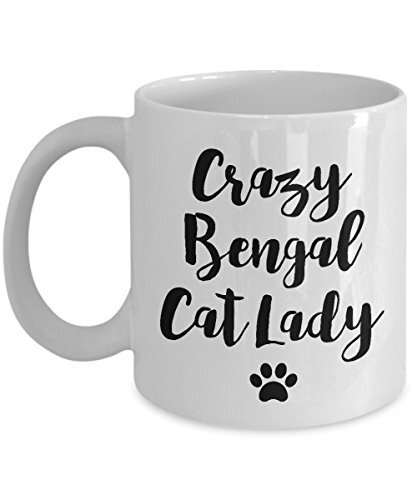 Bengal Cat Mug – Crazy Cat Lady – Funny Cat Lover Coffee Cup Gift, 11 oz. 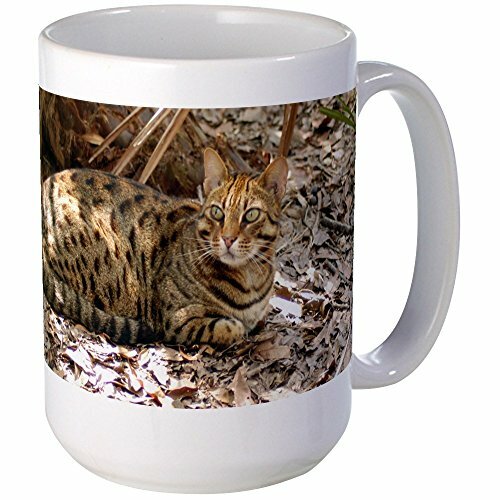 SPREAD THE LOVE: Give this Bengal Cat mug to a loved one or friend (or yourself!) today. 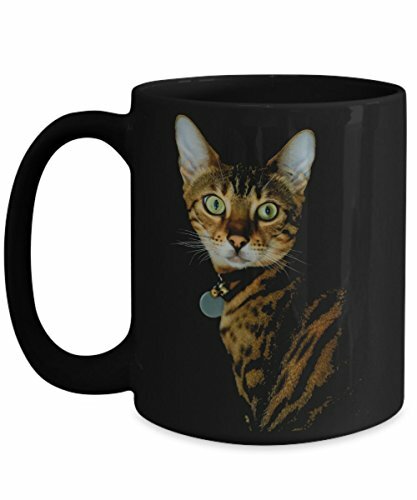 INEXPENSIVE BUT IMPACTFUL: This is an "under $20" gift that the Bengal Cat Lover in your life will LOVE, and they'll see it every morning when they make their cup of joe. HIGH QUALITY: This 11oz ceramic coffee mug is dishwasher and microwave safe. You can wash and re-wash with no damage or fading. Printed and sublimated in the US. Design is printed on both sides of the mug, so we don't leave out the Lefties. SPECIAL OCCASIONS: Great gift for Birthday, Christmas, or a 'just because' gift. 100% RISK FREE: We stand behind all of our products and we want our customers to be thrilled. Absolutely love your order or contact us and we'll make it right. 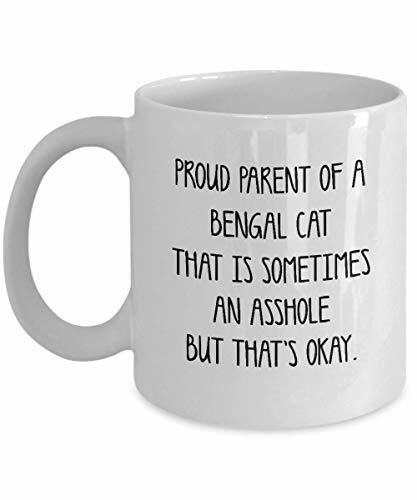 GREAT GIFT: For anyone who's ever rescued a cat or loves felines, and for men, women, boyfriend, girlfriend, mom, dad, friends, boss, coworker and for any occasion. HOY POLLOY specializes in mugs with humorous sayings and quotes for coffee and tea lovers, and our mugs are printed, packaged and shipped in the United States, and guaranteed to arrive safely. Please note, our black mugs are a softer color than they sometimes appear in pictures. Cute Creative Cat Design --- Small creative cat design makes this coffee mug lovely and vivid. The big belly of the mug makes it more cute and adorable, just like a fat cat mother of the small cute cat. Simple but great. 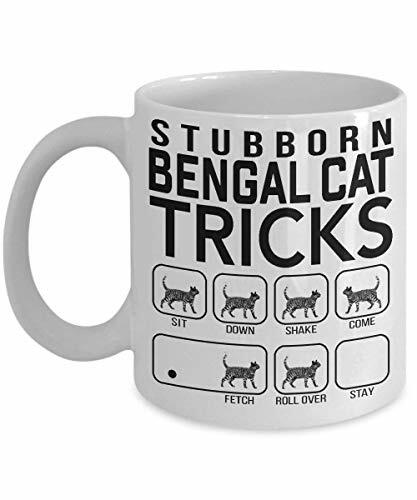 If you are cat lover, you would love this creative cat mug. High Quality and Food Safety --- Made of high quality ceramic. Microwave and dishwasher safe. 100% without toxic and heavy metals. It's durable and reusable, healthier than plastic cup. Perfect for coffee, milk, tea, juice and any liquid you love. Useful Design and Large Capacity --- Useful design for a wooden lid, which has a small opening for a mixing spoon, preventing the dust into, clean and safe. Large capacity of 380ml. 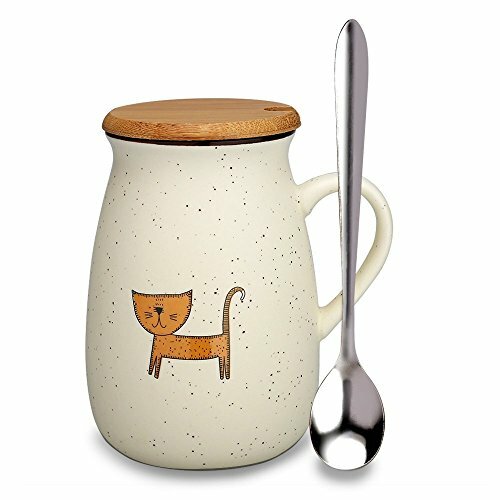 Perfect Gifts --- Unique creative cat and big belly design makes this mug a special gift for your friends, mom, sister, girlfriend, wife or someone else specially cat lovers. Perfect for birthday, Mother's Day, Father's Day, Valentine's Day, Anniversary, graduation and some other special occasions. Warranty --- We guarantee quality and service. Your satisfaction is always our promise, we offer easy returns and exchanges or full refund if you are dissatisfied with our products. 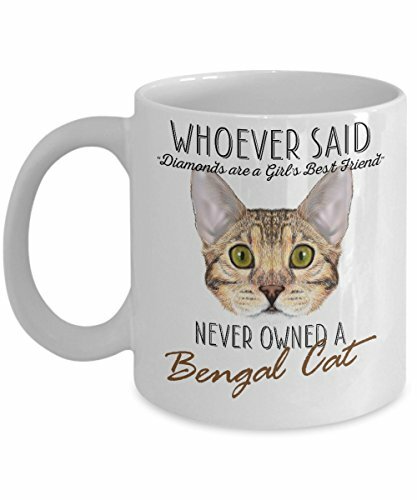 BENGAL CAT LOVER'S MUG: A GIFT SHE WILL LOVE - Imagine the look on her face when she opens her gift and finds her new favorite Coffee Mug. 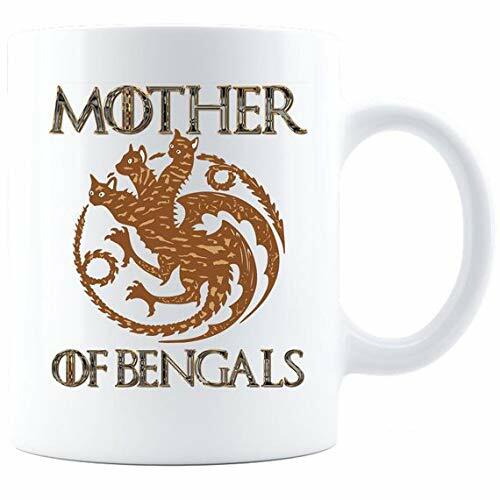 THAT IS INEXPENSIVE BUT IMPACTFUL - This is an "under $20" gift and Bengal Cat Owner will LOVE, and they'll see Coffee Mug every morning! 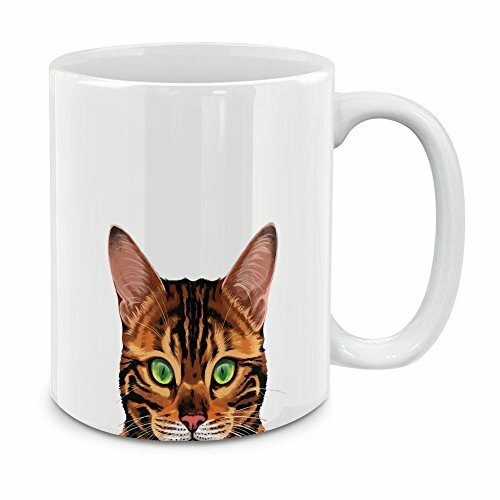 Funny Bengal Cat Mug - This 11 oz ceramic coffee mug is dishwasher and microwave safe. You can wash and re-wash without worrying about fading! 100% Your satisfaction is guaranteed. You will love it.